> Microsoft Azure > Are you taking advantage of today’s SaaS opportunity? Your customers are asking for it. Your developers are ready for it. Your operations team is demanding it. What’s behind this momentum? New customer segments open thanks to lower adoption and operating costs. With less complex infrastructure under SaaS, customer TCO drops. ISV products improve with value-added cloud services and SaaS data capabilities. Financial predictability improves with recurring revenue model. New pricing models aligns ISV value to customers’ business needs, driving increased revenue. Additional, significant operational benefits from switching to a SaaS model. 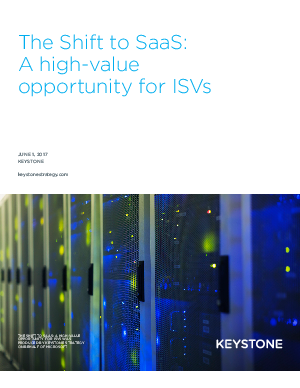 Fill out the form at right to get the free report, The Shift to SaaS: A high-value opportunity for ISVs.